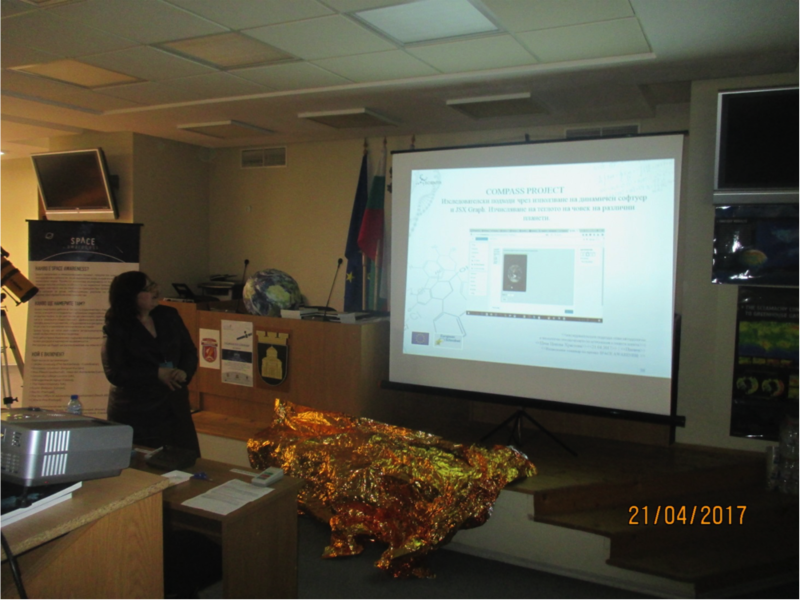 On April 24th COMPASS project was presented at the National SPACE AWARENESS Seminar in Pleven (Bulgaria) by Tsetsa Hristrova. SPACE AWARENESS is an European Commission’s Horizon 2020 Programme aimed to promote scientific literacy among young EU students. The seminar was attended by more than 20 teachers form different Bulgarian schools.